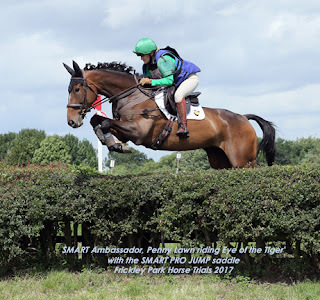 “The horses have all gone well over the winter, getting good results out and about at dressage and showjumping competitions. One of the horses that is in for schooling has really benefited from working in the flexible SMART PRO Dressage saddle - winning every dressage test that she has entered! Eye of the Tiger is aiming for 1* this year, we started with a run at Osberton UA and have Oasby and Lincoln to look forward to next. Good Luck Penny! We can’t wait to hear how you get on.